Fernando has a degree in international relations from the University of Keele (UK) and a Masters in Political Science from the University of Durham (UK). He also has a post-graduate degree in Business Management from Universidade Católica of Lisbon (Portugal) and read law for 3 years at Universidade Clássica de Lisboa (Portugal) without completing a degree. He started his career at the Secretariat of the United Nations Security Council in New York and worked in several posts in the UN Department of Political Affairs for almost a decade, including on missions in Africa (Angola) and in the Office for the Coordination of Humanitarian Affairs. He was also the coordinator of the Portuguese Presidency of the EU at the UN and, later, diplomatic advisor to two Portuguese Prime Ministers from 2002 to 2005. Having left public service, he has been involved in several different business ventures over the last ten years. He set up in 2005 Edeluc Investment Consulting a business consultancy focused on China, presently active in particular on investments advisory, he served as a non-executive Board Member of Aman Bank in Libya (2010-2014), he´s as a shareholder and Board Member of MSF Qatar, a construction company which is a JV between Portuguese and Qatari investors and is building infrastructure projects in and around Doha. 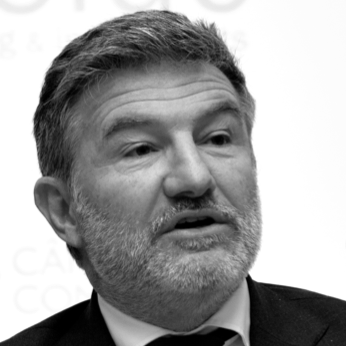 Fernando also serves as a Vice-President of the Portuguese-Chinese Chamber of Commerce and is also a Vice-President of the Clube Naval de Lisboa.